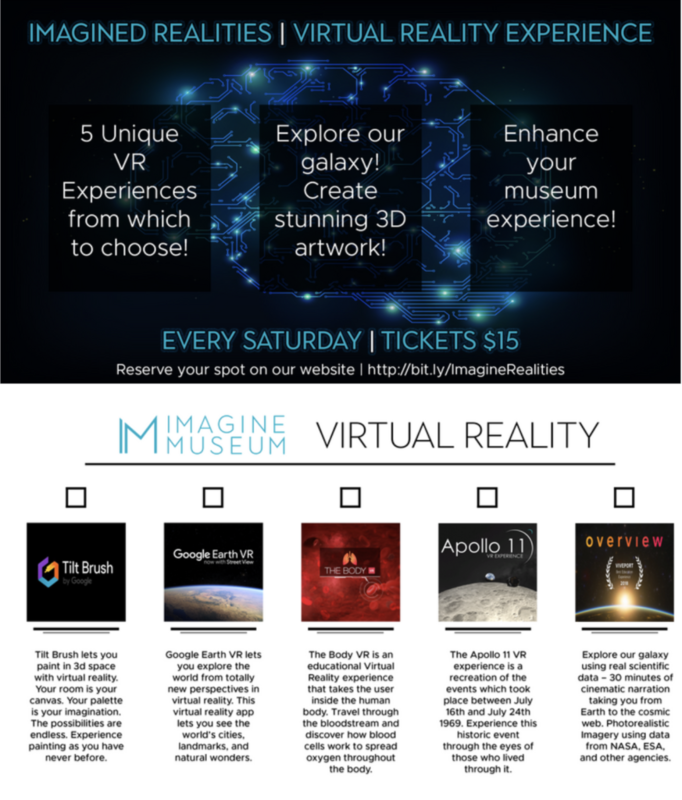 Create stunning 3D artwork, explore our solar system, or visit studio glass hotspots all in Virtual Reality! Every Saturday, 30-minute reservations can be made online or at the front desk. Reserve Your Spot Online: http://bit.ly/ImaginedRealities.